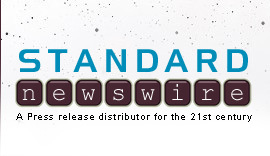 DEBRAY, Fla., Sept. 13, 2018 /Standard Newswire/ -- Kairos Prison Ministry International, Inc. ("Kairos"), a 501(c)(3) nonprofit organization, announced today it has been named a "2018 Top-Rated Nonprofit" by GreatNonprofits, the leading provider of user reviews of charities and nonprofits. Kairos Prison Ministry is a ministry whose mission is to share the love and forgiveness of Jesus Christ to prisoners and their families through three programs: Kairos Inside, for incarcerated men and women; Kairos Outside, for female relatives/friends of the incarcerated; and Kairos Torch, for incarcerated youth. The programs result in an improved prison living environment, reduced recidivism after leaving prison, safer communities, and healed families based on personal transformations. Recent studies have shown that recidivism rates can be reduced by more than 50%. "We are honored to be named a 2018 Top-Rated Nonprofit," says Evelyn Lemly, CEO. "We are grateful for our accomplishments this year, including touching the lives of more than 28,000 persons impacted by incarceration." The Top-Rated Nonprofit Award is the based on the rating and number of reviews that Kairos Prison Ministry received from volunteers, donors and aid recipients. "Kairos Prison Ministry is a great example of a nonprofit making a real difference in their community," said Perla Ni, CEO of GreatNonprofits, "Their award is well-deserved recognition not only of their work, but the tremendous support they receive, as shown by the many outstanding reviews they have received from people who have direct experience working with them." The complete list of 2018 Top Rated Nonprofits can be found here. Kairos Prison Ministry International, Inc. is a lay-led, interdenominational Christian ministry in which men and women volunteers bring Christ's love and forgiveness to prisoners and their families through three programs: Kairos Inside, for incarcerated men and women; Kairos Outside, for female relatives/friends of the incarcerated; and Kairos Torch, for incarcerated youth. Kairos has grown to serve more than 500 communities in 10 countries and 37 states. Each year, more than 30,000 volunteers donate 3 million hours of service with an estimated dollar value of $36 million.